I am so excited to be part of the UK’s CrimeFest 2013, held in Bristol from 30 May to 2 June. There are so many wonderful crime fiction authors attending, I suspect I will be propping up the bar all night just to get a chance to say Hi. Most exciting of all, I will be joined by my super-agent, Phil Patterson of Marjacq Scripts. Well, I think he’s super, anyway. 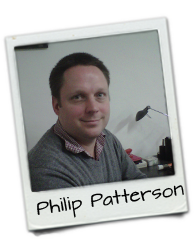 Phil has been described as confessor, pimp and rottweiler to his authors, which could get very interesting! Phil, I am excited to be working with you! I feel honoured to join a long list of wonderful authors on Phil’s list, including highly acclaimed Sunday Times No.1 best seller, Stuart MacBride; Melbourne-born Helen FitzGerald; James Follett; Katherine John; and so many more.